The economically-priced hotel chain Rodeway Inn just won the title of the hotel with best WiFi in 2019. Research compiled by Highspeed Internet found Rodeway Inn possesses the fastest free WiFi speeds for guests at 7.66Mbps. 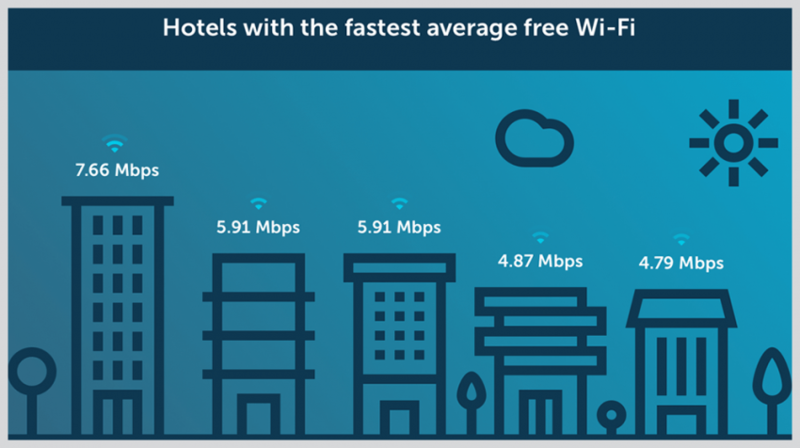 This research used data from HotelWiFiTest.com to calculate average WiFi speeds for each hotel chain. Americas Best Value Inn and Quality Inn & Suites tied for second place with average free WiFi speeds of 5.91Mbps each. Business travelers who may have to spend a lot of time in hotels need to worry about WiFi speeds. 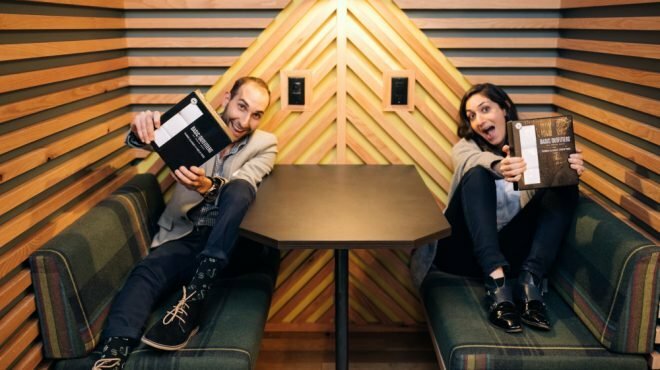 And business owners who send team members on business travel trips worry about good connection too. They want to ensure the team remains connected for the duration of their trip. So good internet becomes imperative. Businesses must know which hotels offer fast, free and reliable WiFi to guests. This becomes an important aspect when planning business trips. Because small business owners can’t jeopardize productivity when on the road on business. Super 8 follows Rodeway Inn, Americas Best Value Inn and Quality Inn & Suites with the next fastest free average WiFi speeds at 4.87 Mbps. This makes Days Inn the fifth best hotel for offering fast WiFi to guests. Days Inn offers an average speed of 4.79 Mbps. In the absence of fast, free WiFi, business travelers will want to rely on fast and efficient purchased WiFi. The research shows Econo Lodge offers the fastest average purchased WiFi speeds at 8.48 Mbps. Fairfield Inn & Suites by Marriott comes in second with an average 8.34 Mbps. Holiday Inn takes third place for fast purchase WiFi with average speeds of 8.10 Mbps. And Holiday Inn Express becomes fourth best hotel for offering guests fast purchased WiFi speeds. The chain offers speeds of 8.00 Mbps. Hilton Hotels takes fifth place with an average speed for purchased WiFi of 7.73 Mbps. When arranging important business trips, business owners and travelers should be aware of the hotels with slow speeds that could hinder the productivity and efficiency of their trips. The hotels with the slowest average free WiFi speed are the Hampton Inn & Suites, both of which have snail pace speeds of just 1.90 Mbps. The Hilton Hotels, Fairfield Inn & Suites by Marriott and Courtyard by Marriott, don’t fare much better in terms of the free WiFi they offer guests, with speeds of 2.42, 2.46 and 2.50 Mbps respectively. Of course, the proficiency of a hotel’s WiFi speed, greatly depends on what a business traveler intends to use the WiFi for. According to High Speed Internet, browsing the web, checking emails and social media, etc. requires between 0.5 – 5 Mbps, while making a video call typically needs between 0.5 – 1.5 Mbps speeds. Tasks like downloading large files requires a faster WiFi speed of between 5 and 50 Mbps. Before booking accommodation for a business trip for yourself or your team, be sure to check the WiFi speeds and efficiency, to ensure business will be able to be carried out seamlessly when you’re out on the road. This matches my experience. The more expensive the hotel, the crappier the wifi (free or not). The budget hotels use it as a selling point and it shows. Interesting. Good WiFi is hard to come by in some places of the world especially if you are traveling. I guess they can take inspiration from this.